(after 80% subsidy of coach fares by the NUS Geographical Society). 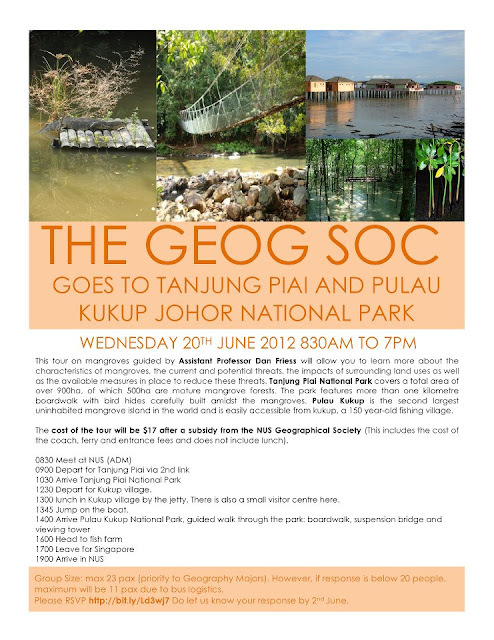 Sign up at http://bit.ly/Ld3wj7 by 2 June 2012! **Priority will be given to Geography majors.